Founded in 2012, the Detroit Sound Conservancy (DSC) preserves what Detroit-native and renowned musician-producer Don Was has called the “indigenous music of Detroit.” To that end, the DSC’s is the go-to leadership for accurate information and effective strategy to increase and maintain Detroit’s capacity to conserve its musical past. 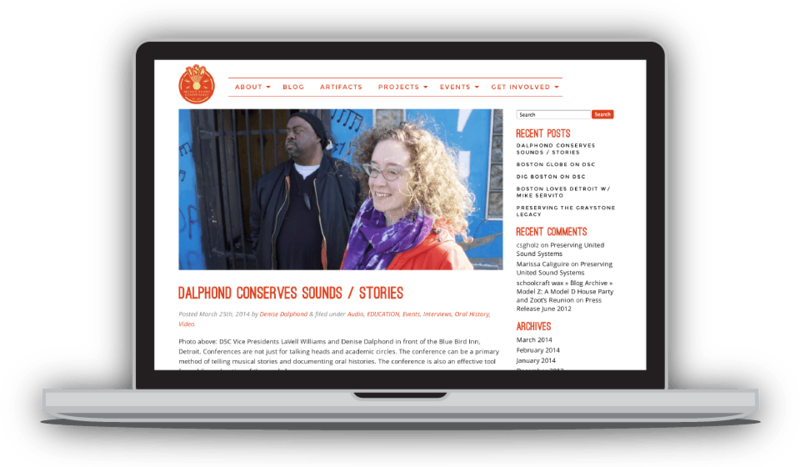 When we were contacted by DSC, they were just starting a Kickstarter campaign to raise money for their extensive Oral History Project and needed a website and digital content system for their growing music and sound history collection. 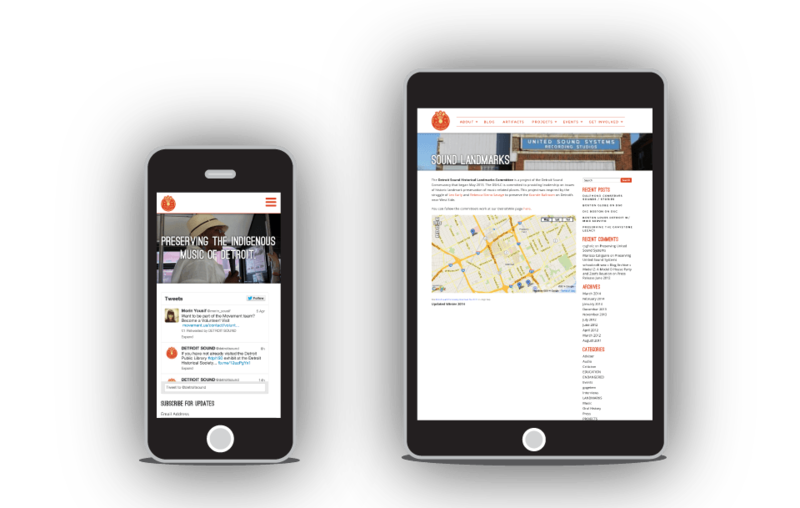 We worked with DSC to build out a website that they can use as a repository for news and archived sounds and stories about Detroit’s music history. In addition to a custom website built to their needs, we also provided them with a bright new logo to represent their musical roots here in the city, inspired by classic Detroit record labels and logomarks.